Newest materials as well as topics in regards to Zodiac Signs. Read about stories, mysteries and convenient advice about Zodiac Signs. Obtain the newest reports and publications when it comes to Zodiac Signs. This week we're going to be under the influence the full Moon in Sagittarius. Full moons bring opportunities for realizing our final, make us more ambitious and emotional. 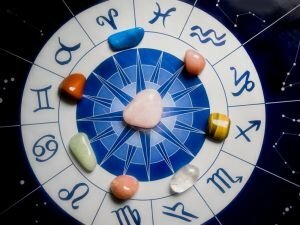 Throughout the day, the majority of the representatives of the zodiac signs are going to enjoy excellent tone, self-confidence and purposefulness. Though some signs may act braver than they really are, there are certain things that undoubtedly horrify them, making them lose sleep, worsening their health and ruining their peace of mind. The Moon is in Cancer and will remain there until 12:00 UTC. This is an intense and productive time. The zodiac signs are making decisions quickly, while thoughts are flying by just as hastily. The Sun enters Taurus this week, making the period a bold and challenging one for numerous representatives of the zodiac. The day is going to be productive but only until 10:00 UTC. Until then the Moon will be in Pisces, as well as in a harmonic aspect with Mars. Be cautious because events will develop dynamically, yet satisfactorily. The day is unfavorable for love and interpersonal relationships. Chances for conflicts and disagreements in the business world also increase. 2018 is a year saturated with emotions. It's a year of breakthroughs that will force humanity to shift its gaze from the material to the spiritual.